Our awesome God has loved us so much, that he has made it possible for anybody in the world to be able to rise above the failure of humanity with a very simple plan of salvation. God was not playing when he warned Adam that all things must done according to the will of God. He was not playing when he said that he would destroy Sodom and Gomorrah. God was not playing when he told Noah to build a boat on dry land because of the wicked hearts of humanity. God was not playing when he destroyed entire families as a result of wickedness. He was not playing when he inspired old testament writers to declare that a Savior would be provided opening blinded eyes and making a way when there was no way. God is not playing today as he instructs all of us to repent and be baptized in the name of Jesus Christ. God is not playing when makes a promise. If you will obey the instructions in Acts 2:38, you will learn how to worship the heavenly Father in spirit and in truth. God is not playing games, neither will you be playing games when you find true salvation that only comes from the God of truth. A couple of weeks ago I was beginning to get ready for Sunday services at our Church, and there were many things on my mind. A friend had called on my telephone and left a short message that really blessed me. Trying to pastor people can be wonderful when everybody is happy and trying to live a good Christian life, but it is not always peaches and cream, if you know what I mean. We had just passed through several weeks filled with great blessings in the services, and we found ourselves reaching out for souls in the community. It does not take a lot of effort to get people to come to Church when you have been blessed and filled with a desire to please God more. People are hungry for somebody to care about them,, and when a child of God will sincerely show kindness and make a little effort to help them to move forward toward hope, they will at least visit the Church when they are invited in most cases. When new people start showing up, they bring many problems with them. Each new soul is a challenge, because they have a very small amount of understanding about what is going on in our services. These new people have not been present through the years to hear the good preaching and teaching coming across the pulpit resulting in our great victory for those that were here, nor have they experienced the joy of knowing Jesus, and they sometimes find themselves not being able to relate to the testimonies or the preaching. They do not know what we are talking about when we are shouting praises about the Holy Ghost and baptism in the name of Jesus. Most of them seem to think they are already saved, and they know more about how we should conduct our services than we do. As the members of the Church gather their families up to head home after Church, the new sinners that just came to visit find themselves sometimes confused and needing to talk to the pastor. Sooner or later they make their way to the pastor’s office where they talk about how terrible life has been to them. They have many questions, and sometimes confusion is all they have as a result of visiting the Church. Many of them need money and they seem to think the Church is there to give them some of that money that was collected in the offering. Somehow it seems that most of these new souls have come to the conclusion that pastors have nothing to do between services, and they are free to give them undivided attention until the next service. As I allow myself to become the city dump for the hurting people of the community, I try to give them the only answer that can fix it all for them, but they do not seem to understand that Jesus is real. That phone call came at a time when I needed to hear the words that were spoken. A friend in Texas had called and left a message. Here are the words that were spoken several times. “Love and joy will conquer all.” Those words were repeated several times. When I listened to that message something happened to me. Just thinking about love and joy brought me back to the peace I had enjoyed before all the problems of the world had been poured into my life by people I do not know. Every time i fall in love with Jesus, I experience joy all over again. All I needed was a reminder, and the peace that passes all understanding returned. No matter how many sad things I had listened to during the past few days, the answer for all of those troubled souls was the same answer I needed also. Today I am feeling happy as I listen to my new friends talk about the problems of life. I am still being treated like a garbage bag that can hold all the years of junk that needs to be poured out, but somehow I am finding joy as I listen to every soul because the love of God that has blessed me is right here for each one of them also. Thank you sister Cathy Shelton, for listening to the Lord and making that phone call. Your love and your joy helped me to once again find my peace that passes understanding, and your words helped me to renew patience and compassion as I love the souls that are trying to make their way to the kingdom of light and happiness. With joy I am once again drawing water from the wells of salvation. The older I get, the more I am learning about the love of our God coming into our hearts and flowing out to others from our hearts. Thank God for joy flowing like a river as deep as the sea. In the wisdom and all knowing ability of our wonderful Lord, one child of God 1500 miles away listened to his tender voice and made a telephone call. She left a message from God, and those wonderful words changed my life again. Ever since the internet went public we have been all over the world with words, audio and video and getting excited every step of the way. We see so much hurt and pain in our world, and I am thankful to God for making it possible that we can give some relief through prayer and encouragement to some who desire to live a better life. World Pulpit plays on your personal computer, and you will be blessed as you watch powerful videos and listen to awesome audio with preaching, singing, and outstanding testimonies. There are some blogs there also with some of our thoughts and blessings that we feel to share from time to time. Norwich Tabernacle This is the site of the Church that I founded 30 years ago in Norwich, Connecticut. On this site you can learn more about us, and also watch the LIVE services on the video player. God has blessed the Norwich Tabernacle. The Church is having revival, we are growing, and it just keeps getting better. Apostolic Audio This site is filled with the wonderful sounds of Pentecostal Apostolic singing and worship. Many of the songs are from the past, and they are a blessing. Often times when I discover a memory in some of these old recordings, I rush to my computer and place these blessed moments on the Apostolic Audio site. ApostolicMedia.Net Here is another great Apostolic media site with great video and audio links. Apostolic Media is one of our oldest sites, and we are getting ready to make some major updates, and we plan to fill it with a train load of fresh new content. Keep returning to this site, because the new Apostolic Media site will be a blessing to all who are excited about the truth of Jesus Name Holy Ghost Salvation. I just love to listen to Holy Ghost inspired singing. Here is a large playlist for you to enjoy. Just click the play button and let these Holy Ghost people baptized in the name of Jesus bless your soul. How about some great Holy Ghost Preaching Video? Here is enough Spirit and Truth preaching to save ten thousand worlds. Be Blessed. 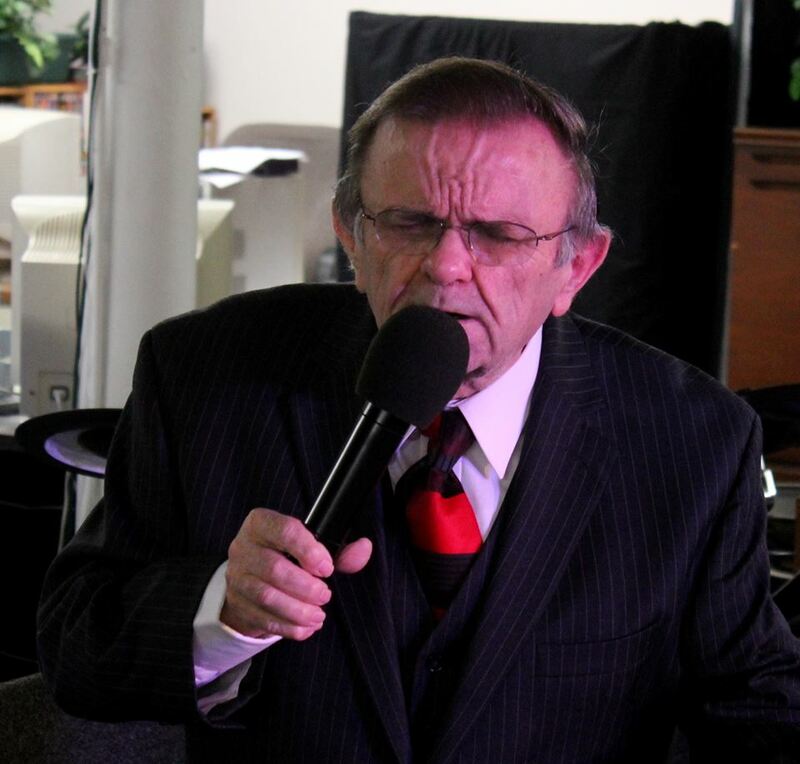 Here are some precious video memories of My father, Marvin Rutledge and the Apostolic Church in Pine Bluff, Arkansas which he founded and pastored for many years. Here is brother Robert Bayer is some rare video footage I was able to capture back in the late 70s. Be blessed as you watch brother Bayer preach about saving yourself. HOLY GHOST POWER VIDEO. Just click the play button and get ready to shout and dance for awhile. My Grandfather on my mother’s side was John W Rucks. I called him Pa Rucks. Others in the family knew him as Dad Rucks. John W Rucks was a Pioneer Apostolic preacher who traveled with twelve children and lived by faith for many years introducing people in Arkansas and Missouri to the Truth of the One God in Christ and Baptism in the Name of Jesus. In 2013 we had a family reunion in Rector, Arkansas in memory of John Rucks, and we had a wonderful time. I took my camera, because I expected to get some good video. I was not disappointed. Here is the video from that camera. In 1998 I found myself along with a few new friends that I had just me in Russia teaching leaders of thousands of sincere Russians people who wanted to know more truth about the name of Jesus and the Holy Ghost. We saw many miracles, and as a result of what God did during that time, several Churches have been built preaching truth, and many have been converted in various parts of Russia. Here is video footage of that trip. In 1984 I felt the call of God to go to Norwich, Connecticut. When I arrived in Norwich I ran out of gas, and only had one dollar. Here we are 30 years later still moving forward as God has been blessing us with many miracles. I still have a dollar, and sometime my gas tank is on empty, but the blessings we experience are more precious than gold. Here is some video footage for some of the Norwich Tabernacle folks through the years. I am about 100 pounds heavier in this video than I am now, and I thank God for helping me to lose all that extra weight. Kids Praise Club is something we all look forward to. We all become kids for Jesus, and I always get bless while having a good time with the children. Here is one of our Kids Praise Club meetings in 2008. About 12 years ago Vickie Lovejoy in Oklahoma City discovered the Norwich Tabernacle on the internet. Vickie had just been told by her doctors that she only had about three weeks to live. Her body was filled with multiple cancers, and there was no hope. Vickie had been a high priestess in a satanic cult for many years, and had dedicated her live to pleasing Satan. After she discovered the Norwich Tabernacle, God used our people to reach out to her, and both she and her son, Kenny received the Holy Ghost and submitted to baptism in the name of Jesus. Vickie is a miracle, and doctors have told us over and over that there is no way that she can still be alive, but she is. Not only is she alive, but she is being used of God to bring many people into the kingdom of the Lord. The following video clips tell the story. The first video is my first trip to Oklahoma City to visit with Vickie and her family. Vickie Lovejoy 01 from Ren Rutledge on Vimeo. Vickie Lovejoy 02 from Ren Rutledge on Vimeo. Vickie Lovejoy 03 – From Oklahoma To Connecticut from Ren Rutledge on Vimeo. Tribute To Vickie Lovejoy from Ren Rutledge on Vimeo. A Happy Moment In Church.